YOUR FEET WILL LOVE YOU At Semler, traditional craftsmanship meets modern technology. At this point, we would like to show you some steps that a SEMLER shoe has to undergo before it comes to the shop and then onto your feet. 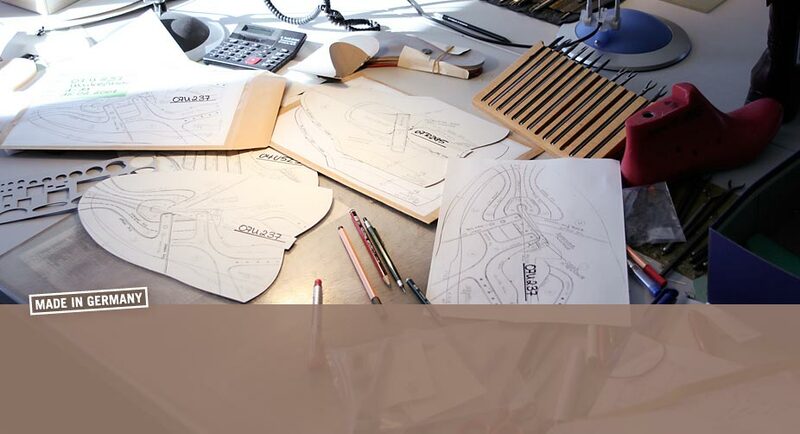 Design In the uppermost floor of our factory, which is the home of our young designers, our most up to date shoe models are designed. In between trade fairs, info- tours throughout Europe and conversations with our customers and our suppliers as well as with the production management, numerous meetings occur here to discuss and develop the new and unique collection for each season. OUTSOLE MODELING Unlike many other shoe manufacturers, our outsole prototypes are developed in-house. Thus we are sure that our designer´s ideas can be interpreted correctly, and promptly. 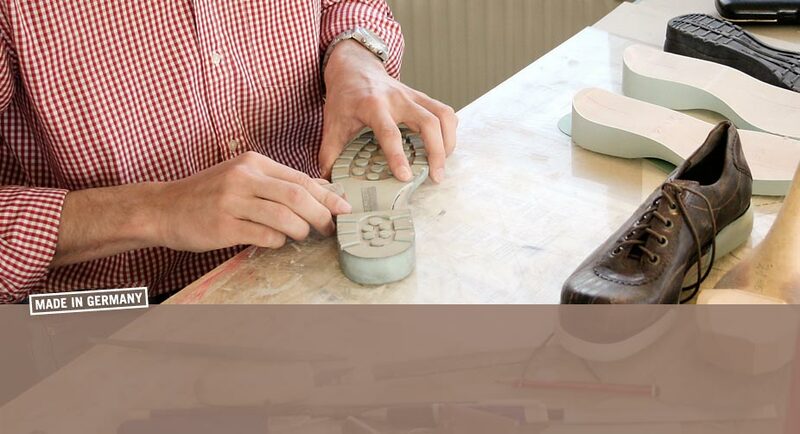 Modeling is a very challenging task – we file, rasp and drag accurately to the millimeter, so that the outsole will fit perfectly on the last and ulimately the shoe. TECHNICAL IMPLEMENTATION The designs are developed into patterns by our designers. In doing so, extreme accuracy is needed, because any mistake would effect the fitting of the shoe. 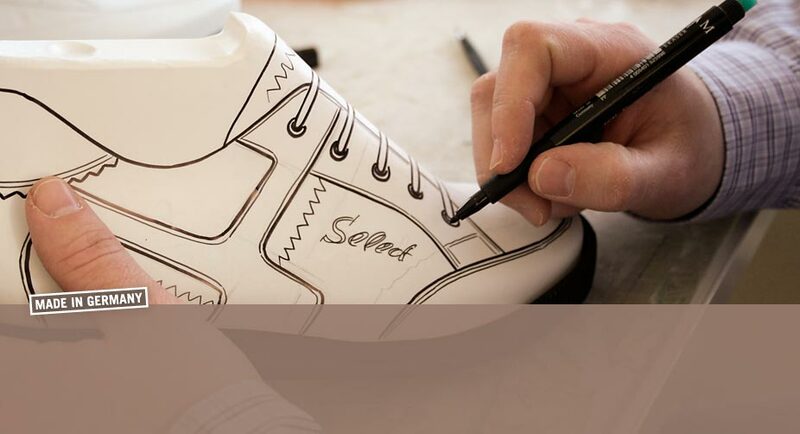 Semler has a very experienced team, which is aware of and able to implement all the requirements needed to create the next generation of Semler shoes. CAD The finished master models serve as the basis for each shoe. 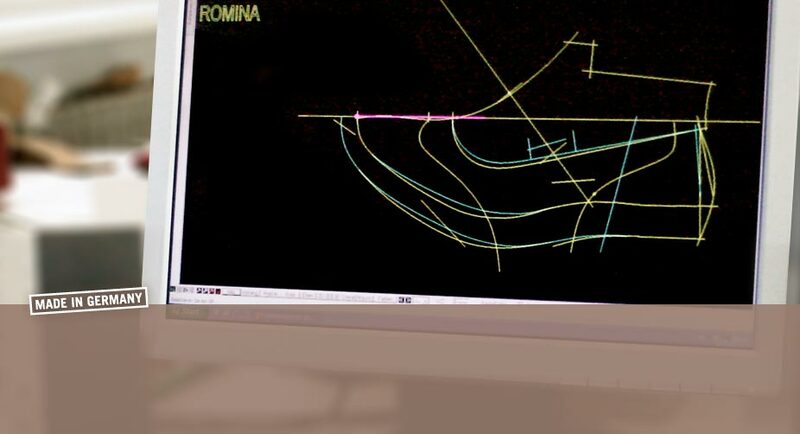 They are then digitalized and by means of complex programs, the patterns for all sizes and widths in which the shoe that will be produced are realized at our computers. 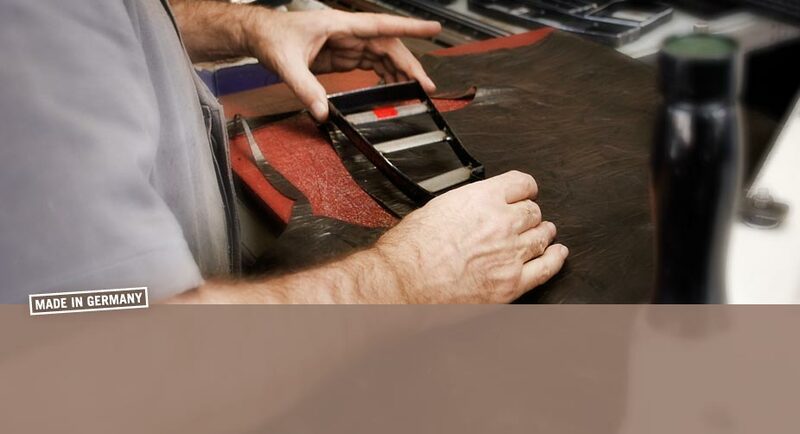 CUTTING All uppers are cut as pairs out of the highest quality European leathers by punching knives. 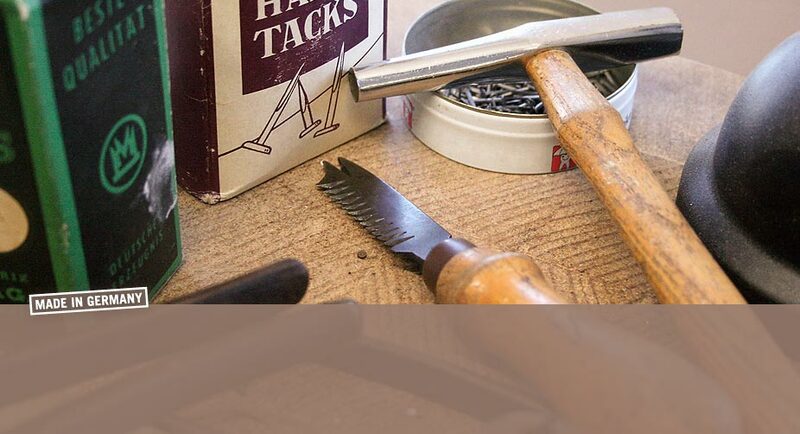 Since no two pieces of leather are alike, the ideal positioning of the cutting tools requires special attention. 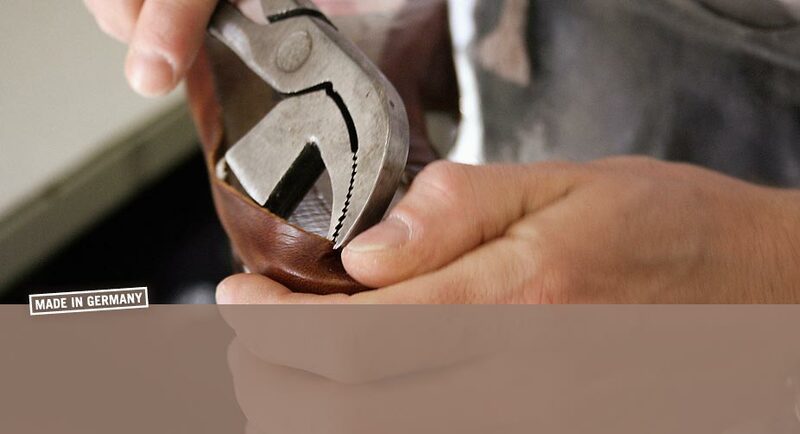 By knowing the characteristics of leather perfectly well, our Clickers decide with their expert eyes which pieces meet the quality requirements to be used for a SEMLER shoe. 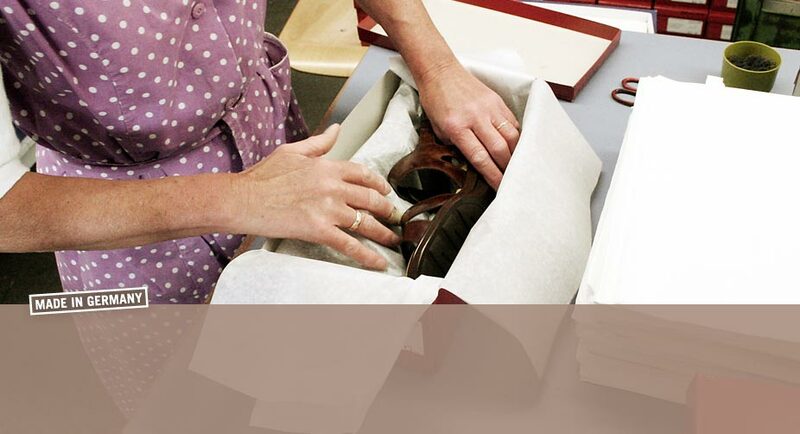 STITCHING The upper leathers and the lining of the shoe are then sewn with maximum closing – thus creating the upper of the shoe. 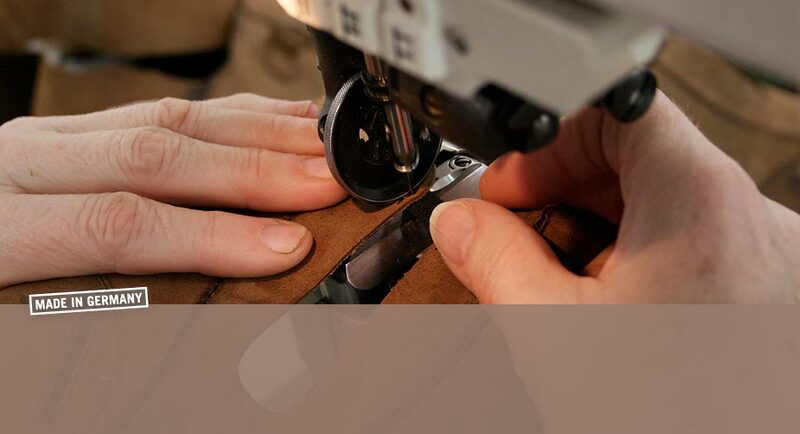 As with the clicking this task requires skilled artisans as any poor stitching would be visible in the end product. CUSHIONING To achieve smooth and delicate walking, additional cushioning is incorporated in between the lining and the upper leather in each SEMLER shoe. LASTING PROCESS During the lasting process the finished upper is pulled over the last and fixed to the bottom. Now, the shoe has its final shape. Depending on the styling, our footwear is hand lasted, or lasted automatically. HEEL ATTACHMENT The heel uppers are attached to the so-called insole at an up-to-date lasting machine. Later, the sole is placed on the insole. OUTSOLE ATTACHMENT The outsole is now placed onto the completely lasted shoe. INSOLE PLACEMENT A leather insole, which serves as a cushion for the foot, is adheres into the shoe providing a comfortable and breathable environment while walking. In addition, removable foot beds are inserted in all SEMLER shoes providing special comfort and cushioning to the feet. QUALITY CONTROL AND CLEANING After the shoe is finished it is thoroughly examined for quality. Residual adhesives and dirt are removed by the craftsmen in the finishing room. POLISHING Prior to leaving the factory, each shoe is hand polished. WRAPPING Finally, our SEMLER shoes are wrapped in protective silk paper, placed in solid cardboard boxes and are ready to be shipped to our customers all over the world.